Watersound Origins is the latest master planned community in South Walton from area developer The St. Joe Company. 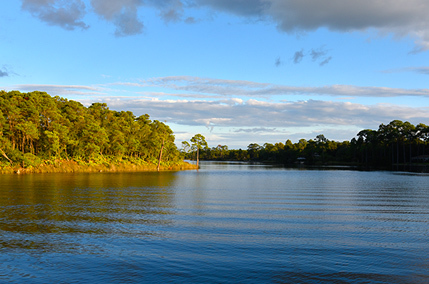 Located on a 1,400-acre nature preserve approximately three miles from the beaches and Scenic Highway 30A, Watersound offers quality new homes from local builders Huff Homes and Romair Homes that feature a classic Florida cottage style with modern features. Residents can enjoy amenities such as community green spaces, walking trails, the Origins Golf Course, a dock on Lake Powell and The Village Commons with a zero-entry pool, children’s playscape, events lawn, 4-acre park and fitness center.